Mladá Boleslav, 11 September 2017 – The long-established Czech manufacturer is looking back on the best half year in the company’s 122-year history. Thanks to its SUV campaign, ŠKODA is about to see another surge in growth and, with the ŠKODA Strategy 2025, the company is well positioned for upcoming challenges. After last year’s 25th anniversary of joining Volkswagen Group, in 2017 ŠKODA celebrated the milestone of producing its 15 millionth vehicle as a Volkswagen Group brand. In its largest individual market, China, ŠKODA has exceeded the mark of 2 million cars delivered in just ten years. Algeria became a new ŠKODA production site in 2017. In Western Europe, ŠKODA increased sales in the first half of the year by 4.1% to 252,300 vehicles (January to June 2016: 242,500 vehicles). In Central Europe, ŠKODA delivered 109,800 units in the first half of the year, 14.0% more vehicles than in the same period of the previous year (January to June 2016: 96,300 vehicles). In the world’s largest individual market, China, the long-established Czech brand sold 134,000 vehicles in the first half of the year (January to June 2016: 145,800 vehicles; -8.1%). This decrease is largely due to the ongoing model range overhaul. ŠKODA anticipated this development and expects demand to return to normal. ŠKODA AUTO’s sales revenues increased by 22.6% to 8.720 billion euros in the first half of the year (first half of 2016: 7.114 billion euros). In the same period, operating profit significantly increased by 25.5% to 860 million euros (first half of 2016: 685 million euros). The return on sales was 9.9%, up from 9.6% in the first half of 2016. Net cash flow reached 1.159 billion euros (first half of 2016: 583 million euros). With the Strategy 2025, ŠKODA AUTO has laid the foundations for continuous successful development in the coming years. The common goal of the numerous newly defined areas of action is to position the company for the coming transformation processes in the automotive industry and changes in society. Here, digitalisation plays a central role: models, production and company processes will comprehensively benefit from digital solutions. By means of digital services, ŠKODA AUTO also wants to develop new, high-growth business areas. Another focus is electromobility: ŠKODA will enter this market in the foreseeable future with plug-in hybrid models and purely electric models. By rigorously implementing this and further strategic initiatives, the company intends to grow in two dimensions: alongside further increases in the traditional car manufacturing business, new digital business models – mainly mobility services – are to provide strong growth stimuli. The ŠKODA VISION E study impressively underlines ŠKODA’s efforts in the areas of electromobility and autonomous driving. The VISION E is the first entirely electrically driven concept car in the company’s 122-year history. It allows for a range of up to 500 km and can be charged both inductively and using a cable connection. The production model will be launched in 2020. 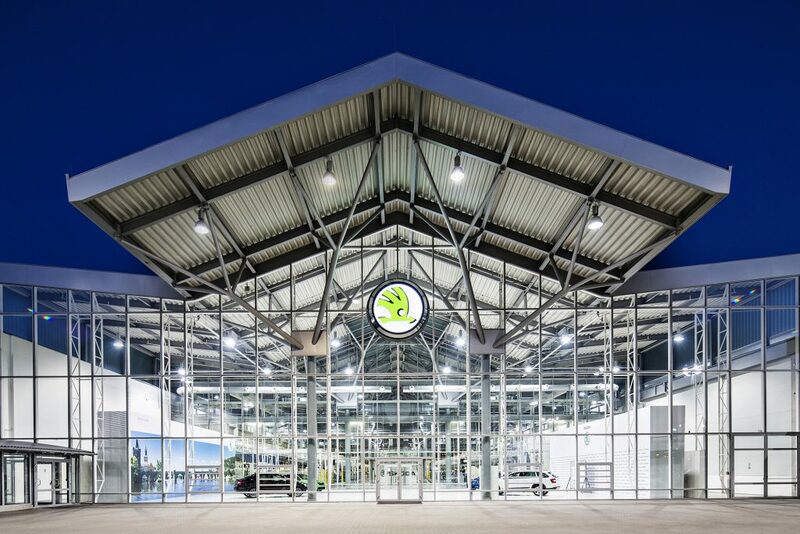 Another future component is the start of ŠKODA production at Volkswagen Group’s multi-brand plant in Relizane, Algeria, approximately 280 km southwest of Algiers. The plant is operated together with local partner SOVAC and has four assembly lines. At present, the OCTAVIA model is being built here, while production of the FABIA is expected to start in 2018. In the first half of 2017, two impressive figures illustrate ŠKODA’s great success in the Chinese market. The brand entered the Chinese market in 2007, exactly ten years ago. More than 2 million vehicles have been delivered to customers in China since then. Since 2010, China has been the Czech car manufacturer’s largest individual market. 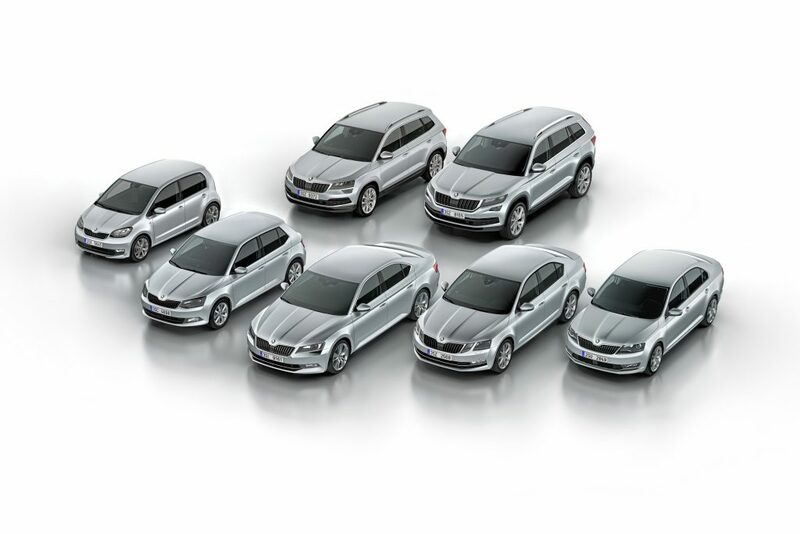 Last year, ŠKODA achieved a new delivery record with 317,100 vehicles. In the coming years, ŠKODA wants to further strengthen its position in its most important individual market. For this purpose, the brand, together with its joint venture partner SAIC Motor Corporation, is investing more than two billion euros in the expansion of the model range. The ongoing SUV campaign is expected to further expand ŠKODA’s position in the Chinese market. The aim is to double deliveries in China to over 600,000 units by 2020. Enhancing the brand’s emotional appeal also supports ŠKODA’s growth strategy. On the one hand, this is achieved through the expressive design language of the current models as well as the unmistakable derivatives which emphasise dynamism, elegance or a rugged appearance. 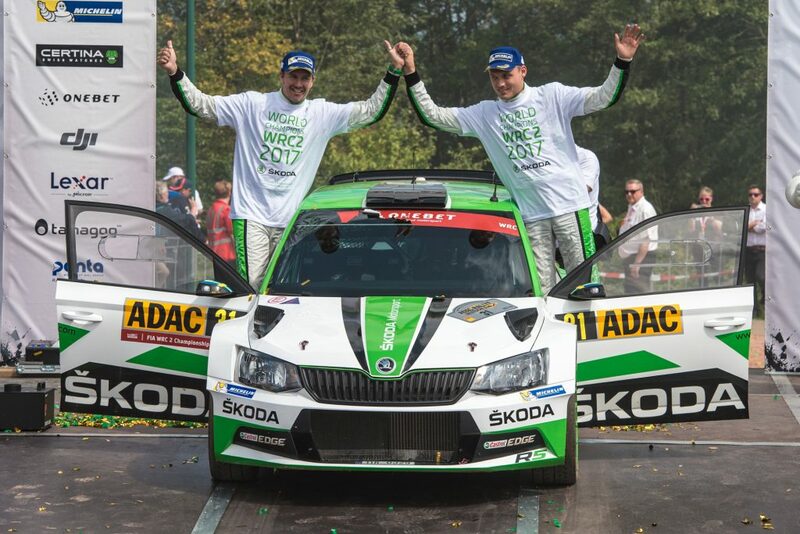 On the other hand, ŠKODA emotionally charges the brand through numerous commitments and activities. At many high-level classic car events all over Europe, ŠKODA competed with extraordinary historic models. The selected old- and young-timers – mostly from the ŠKODA museum in Mladá Boleslav – are proof of the brand’s proud tradition and the ingenuity of earlier generations of engineers. For an impressive 14 years, ŠKODA has been the official partner and vehicle partner of the Tour de France. The company provides 250 vehicles for the organisation and for supporting the peloton at the biggest cycle race in the world. During the three weeks of continuous operation, the ŠKODA fleet covers a combined distance of approximately 2.8 million kilometres. Since 2004, the total distance covered at the Tour de France is over 30 million kilometres. Every day, a ŠKODA service team ensures that the 250 vehicles are optimally prepared for the coming stage. The top-of-the-range model, the ŠKODA SUPERB, assists the entire Tour as the ‘Red Car’ and serves Tour director Christian Prudhomme as a mobile control centre. The close relationship between the long-established Czech brand and cycling has historical roots. 122 years ago, company founders Václav Laurin and Václav Klement started the production of bicycles before they began manufacturing cars. Cycling is a key pillar of ŠKODA’s sponsorship strategy. 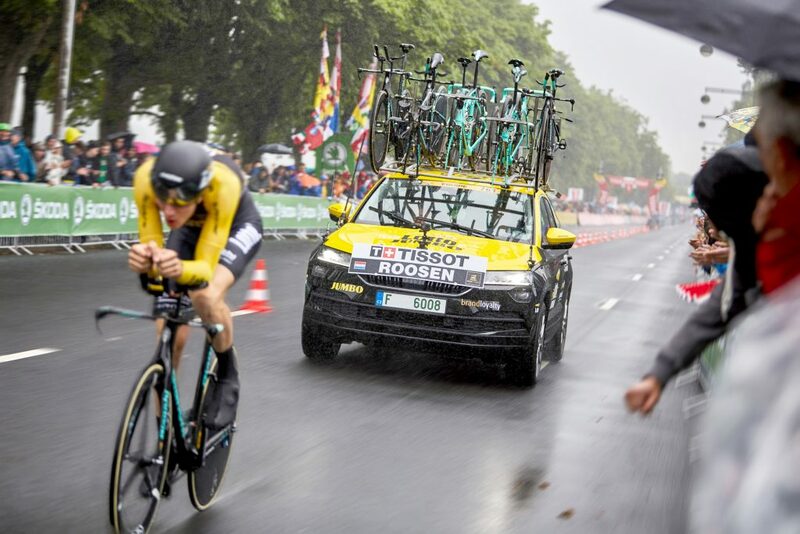 Besides the Tour de France and the Vuelta in Spain, the brand supports other international and national cycle races as well as numerous sports events for the public. In mid-2017, ŠKODA has broadened its brand commitment by entering into a comprehensive partnership with the world famous Cirque du Soleil. The brand cooperation with the live entertainment company opens up numerous new opportunities to reach millions of potential new customers for ŠKODA.